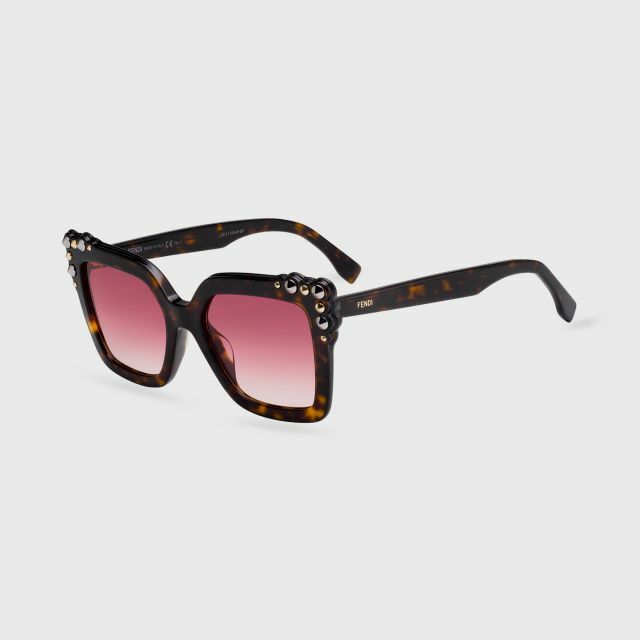 This chic cat eye sunglasses feature teal studded detailing at corners of each lens. 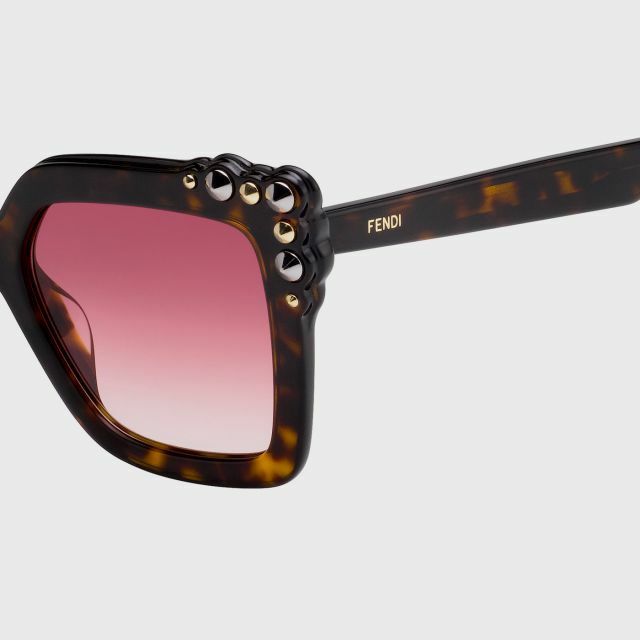 These are stunning sunglasses for a distinctive look from Fendi! 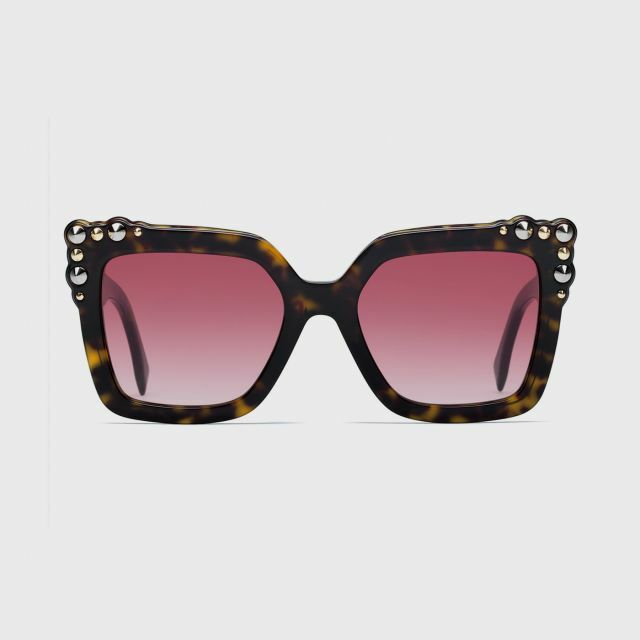 Pink lense with black acetate frame.